It's interesting how creativity works, when a single image, smell or sound spark ideas. Oliver Holmes was speaking the truth when he said, "A mind once stretched by a new idea never regains its original dimensions." 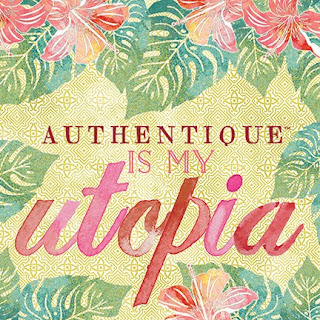 Our Utopia collection was created in much in the same way. One of our owners, Samantha, had an image with a saying in mind and shared it with Jody (the artist who brilliantly developed the designs for Utopia) who never looked back! Just one inspirational piece sparked the color palette and designs for the line! With Sam and Jody working their magic to personify the emotion they felt inside, one of our most colorful and free-flowing collections was born. Since day one of Authentique Paper, we have always included a quote on the "tab" or header of the 12x12 papers and featured it as the centerpiece of our Details cardstock adhesive sheet. The reminder of the emotion created by the name and elements in our collections is always available as a reference, when working with our products. 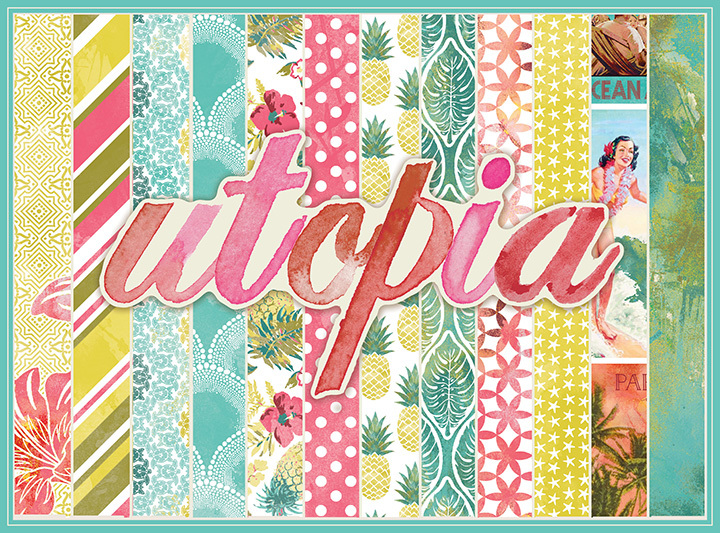 We are pleased to introduce "Utopia." We hope you connect with this collection and run with your creativity! To see each product by itself, please visit the products section of our website or click HERE. Our design team is hard at work creating handmade works of art, but here is an idea of the beauty you can create using our products. Remember, we are 100% Made in the USA! 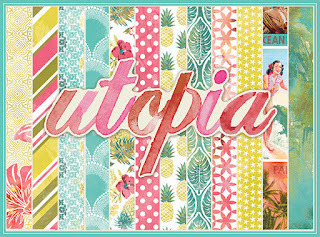 Layout created by Authentique Paper Design Team member Keely Livings. Follow us on Instagram, Facebook and Pinterest for inspiration and ideas of what you can create using our products. REally daring and fun pics and graphics! So colorful too!